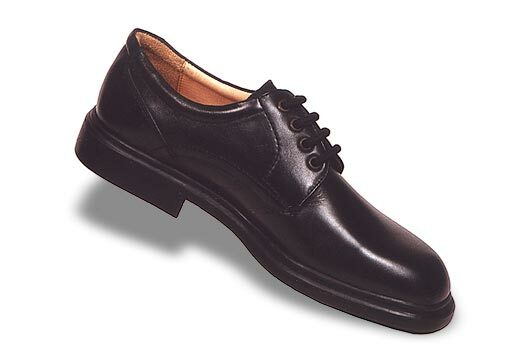 This leather shoe is another lace-up Derby with leather lining. It has a TPR sole and full EVA in the sock. Those with heavy feet will find these shoes specially comfortable.